Who will be tempted by darkness? Who will fall in love, and who will find their relationship torn apart? And who will betray everything they ever believed in?Love. Blood. Betrayal. 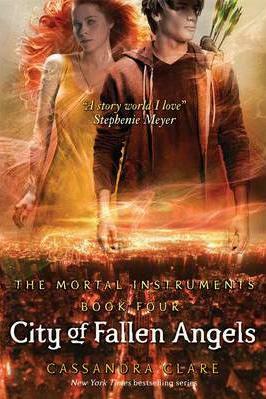 Revenge.In the heart-pounding fourth installment of the Mortal Instruments series, the stakes are higher than ever. Yay for this book, but it was insanely evil.